Despite their reputation for irrationality, North Korean leaders have always been masterful strategists. The country’s founding leader and eternal president, Kim Il-Sung, masterfully exploited the Sino-Soviet split throughout the Cold War to extract aid from both without having to offer much in return. When the foundation of that strategy collapsed with the end of the Cold War, Kim Jong-Il turned to stoking China and America’s deep-seated fears of instability and nuclear weapons proliferation respectively, as well as South Korea’s longing for reunification, to continue receiving the aid that North Korea’s economy had become dependent on. Indeed, for a state in as precarious of a situation as North Korea finds itself in, having a prudent grand strategy becomes something of a necessity. And yet it seems increasingly apparent that Kim Jong-Un lacks the skills as a strategist that his grandfather and father relied on to sustain the regime. It’s too early to make a definitive judgment on whether North Korea has a game plan for ending the current crisis on terms favorable to itself. Time and again the country has shown itself quite capable at guiding seemingly random events towards a desired endgame. That being said, although the belligerent rhetoric succeeded in getting the world’s attention, it never resulted in any kind of tangible benefit for the North. In fact, given the intense diplomacy that has continued to take place between South Korea, the U.S., China, and, to some extent, Japan, North Korea appears to have only succeeded in further uniting its adversaries and allies against it, while also losing some of its best sources of hard currencies by closing the Kaesong complex and coming under Chinese sanctions. Even Russia has largely remained on the same page as the other parties of the six-party talks as evident by its desire to hold a summit with South Korea on the sidelines of the G-20 summit in St. Petersburg in September. North Korea’s actions from the past week appear to be desperate attempts to salvage some gains from the crisis. This was clearly the aim of inviting Japanese Prime Minister Shinzo Abe to send an envoy to Pyongyang to discuss the issue of North Korea’s past abductions of Japanese citizens in the 1970s and 1980s. Once again, Pyongyang is falling back on its long-time successful tactic of exploiting slight differences in its adversaries’ priorities. Beyond that, however, North Korea’s actions appear to be doomed to fail. One example of this was its launching of six short range missiles over the weekend. Coming on the heels of its increasingly belligerent threats and actions this spring, these missile tests failed to elicit much in the way of a reaction from any of the parties involved. The South Korean government, for instance, calmly told the public to simply expect more tests. It’s possible these tests are only the beginning of a new campaign of provocations. Then again, they may very well not be. South Korea is simply unwilling to tolerate the kind of provocations that it did in 2010 without launching a devastating response in return. This point was made unambiguous by President Park Geun-Hye and the Chairman of the Joint Chiefs of Staff during the height of the latest crisis. North Korean leaders quite possibly understand that attitudes on the other side of the Demilitarized Zone have changed and have tailored their actions accordingly. In doing so, they lack the option of taking actions that might break the status-quo North Korea currently faces. China is unlikely to be of much help to the North. Although Chinese leaders will not place the kind of economic pressure on Pyongyang that might force its hand, they are also increasingly uninterested in protecting the regime from facing retribution for its actions. Last month JoongAng Ilbo reported that China refused to send a high-level envoy to North Korea as Pyongyang requested, which seems plausible given that the request Beijing’s last envoy brought to North Korea — namely, don’t test a ballistic missile — was defied in less than two weeks. North Korea’s seizure of a Chinese fishing boat was likely an attempt to force Beijing to deal with Kim Jong-Un. It could work as it has in the past. 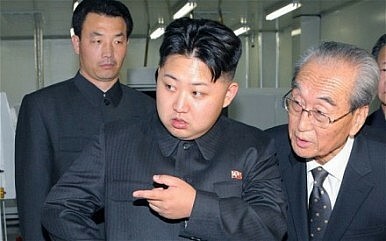 But North Korea today has to contend with a new variable it hasn’t had to in the past, Chinese social media. The fierce criticism of North Korea on China’s social media websites following the boat’s seizure is just as likely to force Beijing to take a hardline stance with North Korea, rather than a conciliatory one as Pyongyang likely hoped. Indeed, the added variable of Chinese public opinion could complicate Kim Jong-Un’s ability to coerce China into giving into his demands for years to come. The core of the summit agreement is an exchange of U.S. security guarantees in exchange for a North Korean commitment to "complete denuclearization of the Korean Peninsula." How Leaving China in the Dark Helped Doom the Trump-Kim SummitWhat Kim Jong-un Gets Out of a Self-Enforced ICBM Testing FreezeHawaii's Missile False Alarm Spurs Worries About US-North Korea WarNorth Korea Carries Out Sixth Nuclear Test of Claimed Two-Stage Thermonuclear BombNorth Korea's Musudan Missile Test Actually Succeeded. What Now?